How Can I get a High Mileage Auto Title Loan? Are you facing an emergency where you need cash quickly and don’t have the money you need? Are you in a situation where you are requiring cash right away, and need money. Perhaps you have bad credit and have limited options getting approved for a loan. A Car title loan may be able to provide you with the cash you need even if you only have available as collateral for your loan a high milage vehicle. An Auto title loan for high milage cars can be arranged online. This title loan is a type of loan that uses the value in your car or truck and provides you with cash based on the value of the vehicle or auto. This is where an auto title loan may be able to help you. An auto title loan works by borrowing against the equity in your car, pickup truck, or SUV. The requirements are that you have an income, and milage of 200,000 or less. In California most loans are between $2,000 and $10,000 in value. There are many online title loan lenders in California that can approve you and fund your loan entirely online. Usually the first step is expressing an interest to a lender, this can be as simple as filling out an application form, such as the one provided here on the true financial website. The lender is going to ask you a number of questions, such as is the vehicle insured, is the title paid off, or if not how much money is owing. If you are looking to refinance a title loan with high mileage they would want to know who your current loan is with, and how much you owe in total as well as what your reapyments are and your history of making those repayments. The lender will then provide you with an estimate of the value of the vehilcle and provide a loan based on a percentage of that amount. 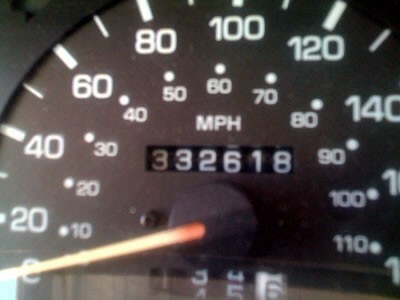 A high mileage vehicle is considered any vehicle that has more than 200,000 miles on it. The reason why loans on high mileage vehicles are more risky is that there is a greater chance that the vehicle may break down or need mechanical repairs, in which case a new need arises for more cash to repair the underlying security for the lender. So its understandable that not all lenders are willing to finance these types of loans. There are lenders out there both online lenders and brick and mortar that are able to help you get approved for this type of loan. How Will I know If I Qualify for a High Mileage Vehicle Auto Title Loan? Speaking with a consulatant at a loan office or online is a fast and efficient way to find out if you will be approved. You can also discuss with that lender what the interest rate will be, most customers are looking for a low interest rate loan however its important to calculate repayments and know exactly how much you are up for, and also just as imporatnly, for how long! A low repayment may sound good, but if you’re having to pay the loan for a longer loan period then that is going to end up costing you more. The longer the loan, the more likely you may get stuck with a repair bill or have an accident. Think about what you would do then being in that situation. All car title loans are secured loans. What that means is that if you fail to repay your loan within the agreed upon repayment term (typically 30 days), you risk losing your car. So make sure before you decide to take out a loan that you qualify for that you are comfortable with the repayments quoted and you are sure you have the required income to meet your minimum loan repayments each month. If you are unable to pay back your loan, your lender will have the option to repossess your car to make up for the money they lost in the initial loan. Technically, local car title loans are typically meant to last for a very short time – usually just a month. Within that month-long repayment term, interest rates are typically around 25 percent. Where people get into trouble is when they cannot afford to pay back their loan within the agreed upon payment term. True financial is able to help you get a car title loan on a high mileage vehicle or car title loans for older vehicles. True Financial is a licensed lender in the state of California but also have access to other lenders we can refer you to who are able to help you out no matter what situation you may currently be facing. Fill in the apply now form to begin an application from home or call up today, we may be able to offer you funds the very same day. Our phone line is available 24 hours a day seven days a week to take your application and run through requirements to get you cash in a hurry. Or visit one of our locations. We look forward to serving you.